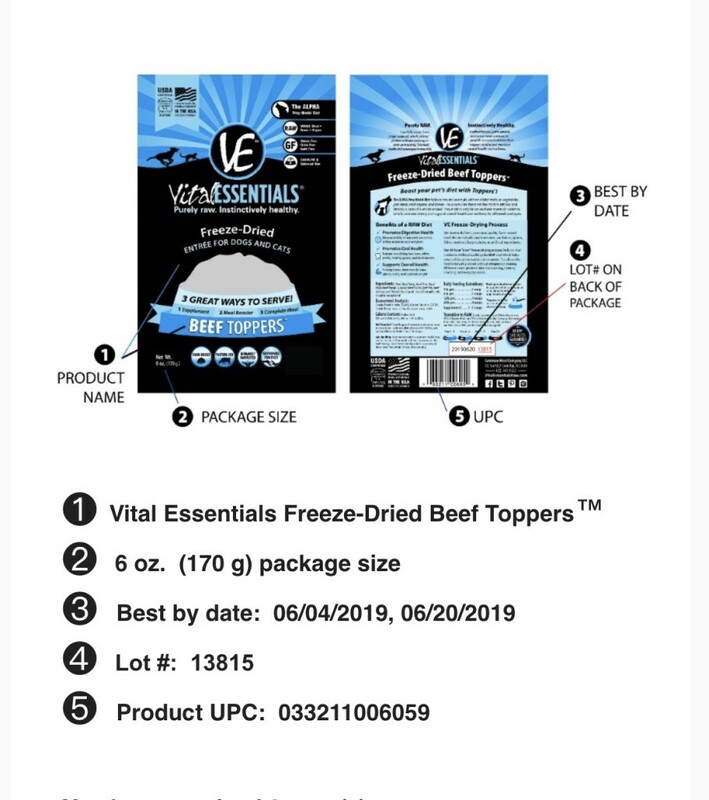 Carnivore Meat Company of Green Bay, WI, is voluntarily recalling two limited batches of pet food because the products may have the potential to be contaminated with Salmonella. The issue was discovered when product from a single batch was tested by FDA for the presence of Salmonella. We expect that very few, if any, packages remain in the market. However, if you have any recalled product in inventory, please discard immediately in a covered trash receptacle, in a safe manner. A credit will be issued for disposed items as a result of this voluntary recall. 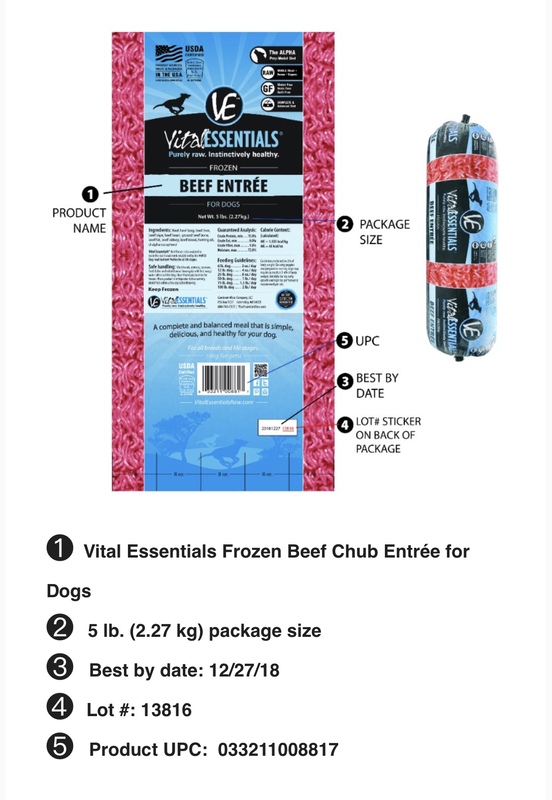 Earlier this year, Carnivore Meat Company implemented new test and hold measures to bolster their efforts in delivering a consistent supply of dependable, ultra-premium food and treats for pets all across the world. In the event you, your employees or customers have any questions, please contact Northland or Vital Essential directly at 920-370-6542.